The UK Border Agency is to slash the amount of money it spends on providing housing for asylum seekers by 17 per cent next year. The UKBA was forced to reveal its plans following a freedom of information request submitted by Inside Housing. 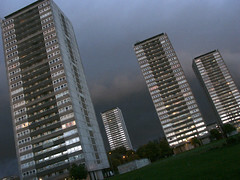 The agency’s provisional spending on accommodation in 2010/11 is £164 million. Its budget for 2011/12 is £135.5 million. The FOI request also revealed the UKBA is making the savings by slashing the number of contracts it holds with accommodation providers from 28 to 22 - a drop of 21 per cent. And some providers have had their contracts extended for 12 months, but face being axed next year. The UKBA will run a full tendering process for 2012/13 contracts during 2011 through its COMPASS project, to replace current contracts and further reduce costs. Several of the axed contracts were held by local authorities, while many of its contracts with private providers were left in place. A deal with a consortium of seven councils in the north - NECARS - has been dropped leaving private company Jomast the sole provider in the region. ‘We have no problems with the private sector providing accommodation but there needs to be a mix of providers.’ This was because it provided greater competition and kept councils in direct touch with issues affecting asylum seekers, he added. 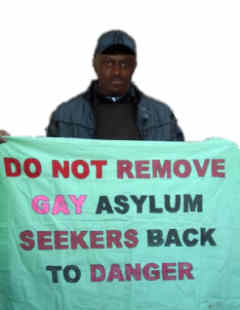 Dave Stamp, project manager at Birmingham-based advice service Asylum Support and Immigration Resource Team, said he believed the UKBA had based its selection of providers mainly on cost. The UKBA terminated its contract with Glasgow Council last November because the agency would not pay the £9 million fee the local authority charged for the service. There were 22,690 asylum seekers in receipt of support at the end of 2010, compared with 29,150 at the end of 2009.